I had worked on the manufacturing side of MInnovation Ltd for over twenty five years, and when we decided to start up the racing side of our business a few years ago I realised holidays would be on the backburner. With this in mind I decided that the end of the season AHMRA events in the USA would be a good excuse for a working holiday, I mentioned this to my old mate Steve Maney, he was ready for a break too, so we decided to take a joy ride on one of Delta Airlines vintage aircraft to the USA, hopefully to take it easy in the beautiful Alabama sunshine. The pit awning also housed a great bunch of Antipodeans, including Bruce and crew from TTI industries, the irrepressible Danny Ahearn and Ken Mc'Intosh, who Jamie had assisted in bringing along one of his fantastic replica Manx Norton's for G.P legend Kevin Schwantz to ride. We made ourselves available as required to help with the team's two N.Y.C Norton built, Minnovation Racing bikes, one is a Seeley Mk2 Commando, whose build up was featured on the Cafe Racer TV programme and owned by Dan, to be ridden by Maria. 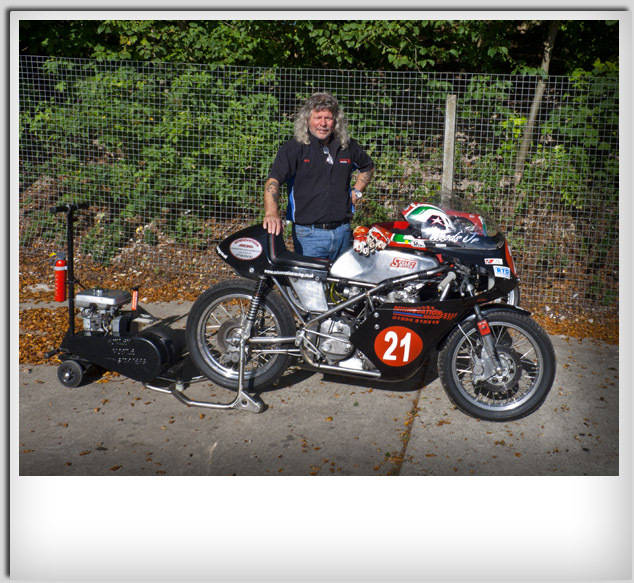 The other was one of our Matchless G50 engines installed in a replica Matchless chassis owned and ridden by Jamie. The bikes were well put together, giving us plenty of time for relaxing and race watching. 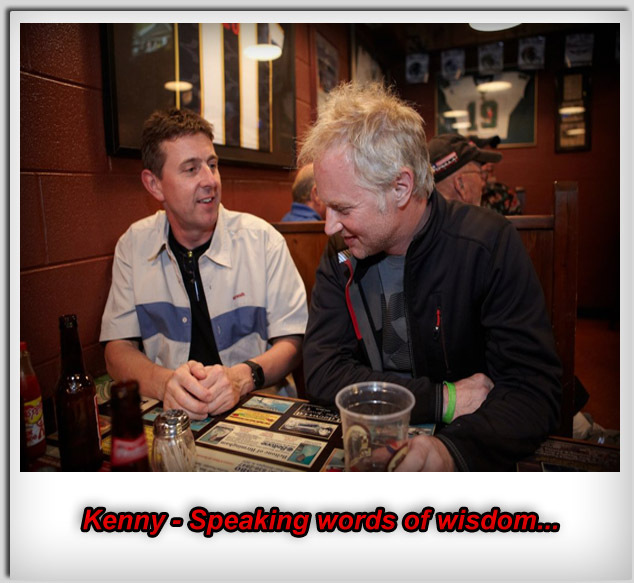 This is a tribute to Kenny's machine preparation skills. The pit was loaded up with bikes all built by Kenny, and apart from teething troubles they mostly all ran great. Kenny and Jamie took care of the rest of their bikes and what with them both racing, it made a busy day for them. Highlights of our time in Alabama were the fantastic Barber museum. (A suprise to me as it houses lots of my Dad's old bikes, mostly vintage Sunbeams). Jay Springsteen on the XR Harley. Kevin's two wheel drifting the Mc'Intosh Manx to two premier 500 class wins. 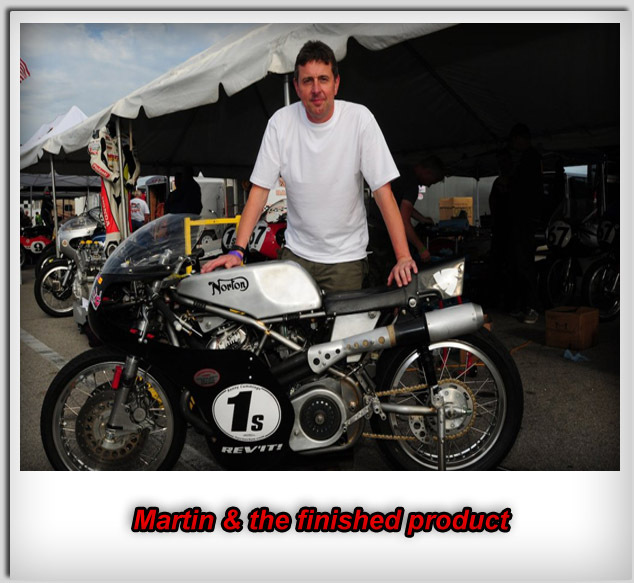 Maria's winning rides on the Minnovation/N.Y.C Norton in the B.E.A.R.S races. 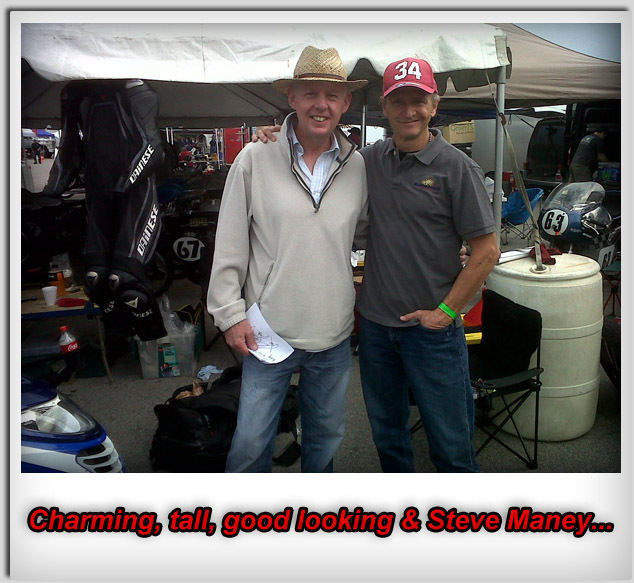 We had a great time at Barber with Kenny and all his Crew - racing and socialising as you do. After Barber we then road tripped our hired 'monster truck' down to Daytona, the AHMRA Races there being held back to back. We stopped and did the tourist thing in and around Tallahassee for a few days, America has some lovely sights and we were glad of the sunny weather in what was essentially the hurricane season in that part of the country. We arrived at Daytona for scrutineering on the Thursday. Daytona? What can I say? You just have to go there once in your life time. The place makes the hairs on the back of your neck stand up! The American riders sadly do not seem to support AHMRA there like they did at Barber. I'm not sure why but it is their season end and possibly the cost of attending was an issue. 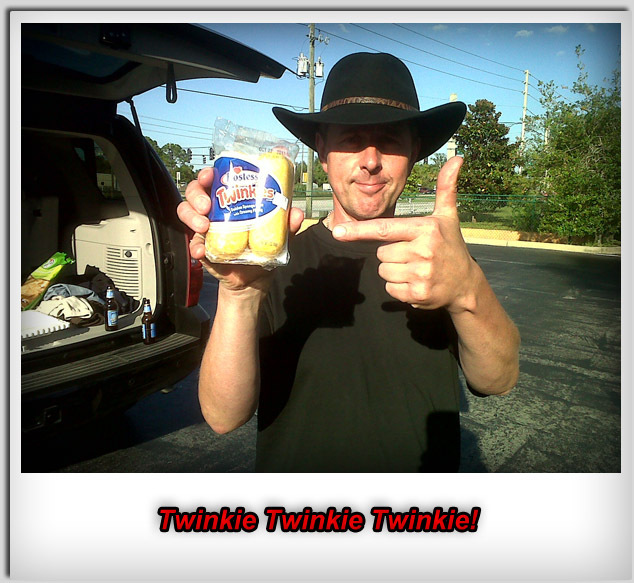 These are tough economic times for all of us. We met up with the usual crew in Kenny's pit, including another American legend Doug Polen, deputising for the otherwise engaged Kevin Schwantz. Once again very little maintenance was required apart from a troublesome Manx and general wear and tear. Our M.D George turned up at Daytona, visiting as part of one of his many mining equipment business trips. I am happy to report that Maria rode well in the B.E.A.R.S races with podiums all weekend, well done girl! - you put one of our bikes on the box and a smile on the boss's face, got to be happy with that. We did a bit more sightseeing, including Daytona Boulevard - AMAZING! - However all too soon it was unfortunately time for the trip back on the old Delta cabbage crate. This was the last meeting of the year for Minnovation Racing – we have been invited to attend the big season ending AHRMA meetings at Barber & Daytona in the USA – and after the season we have had – a bit of sunshine rather than the probable Snetterton rain and cold sounds good to us. Cadwell park went well for us – no faulty gasket’s – nothing dropping off the bike – no cold Dunlops – no explosions – we just put fuel in the bike and despite Johns stomach ulcer unfortunately flaring up once again – we put the bike not only on the rostrom - but consistently in the top ten all weekend. He never gave up despite not feeling so good and the bike still not handling and running as he wanted. Not quite the results we would have all liked – but considering how things have gone this year we will take it. We would like to thank Woody for all his efforts this year; he kept his chin up for us and despite all the disappointments kept trying his best to get us some decent results. For next year our first thoughts are to go back to concentrating on our GP1 500 – and to this end we are in the final stages of completing our latest works engine – featuring a one piece crank – titanium con – rod valves – the works. 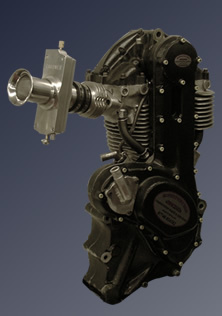 Needles to say, if this engine is as successful as we hope – replicas will be made available to our customers. 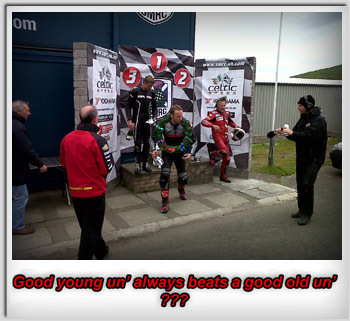 We would like to congratulate our friend and local Wakefield rider Stuart Hall on securing in spectacular style the ACU 350cc post classic championship on his immaculately prepared Maxton Yamaha – a fantastic effort considering he also made his debut in the Manx Grand Prix this year with some excellent finishes on his GSXR 600 Suzuki. We are looking forward already to the next season – as well as a full season back on our G50 – we hope to be able to attend some of the larger classic festivals – probably with our Norton’s – Spa & Chimay are currently top of the list – this way me and Mick get to ride the bikes also – we are not quick enough to race anymore but at least we can go out and have some fun with our customers. We would like to thank all of our customers old and new for their business and support this year – these are very tough economic times & we realise racing is a very expensive sport – we are grateful that we have been able to make a living doing something we love. We hope 2012 is a good year for everyone. Finally got the 1007 Norton flying - Woody got a couple of brilliant results on the Saturday afternoon - from the back of the grid - ensuring front row starts Sunday morning. We made many adjustments and were confident of being on the podium all day Sunday. 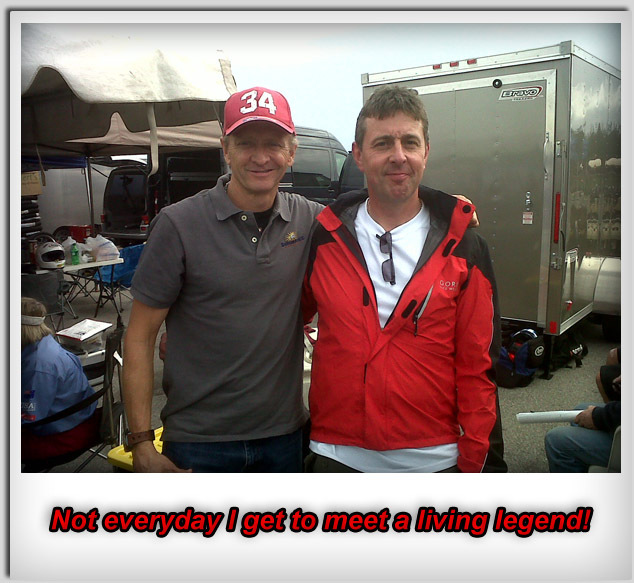 Then we went to go out for additional practice Sunday morning - one backfire later- we became the fireball brothers. On a brighter note we have developed in conjunction with RTD a fully mappable ignition system suitable for the TZ 250/350 Yamaha. Brands provided the debut for the system and our good friend and works rider John Woods had some excellent race placings followed the next weekend by a pair of fine 2nd places at Chimay in Belgium. Congratulations to team BaTZ on two great wins in Chimay! We dismantled our 750cc Seeley Norton comepletely after Knockhill to properly attend to all our teething troubles. Some items will take time to rectify - giving us time to push ahead and complete our 1007cc Norton open class works bike. 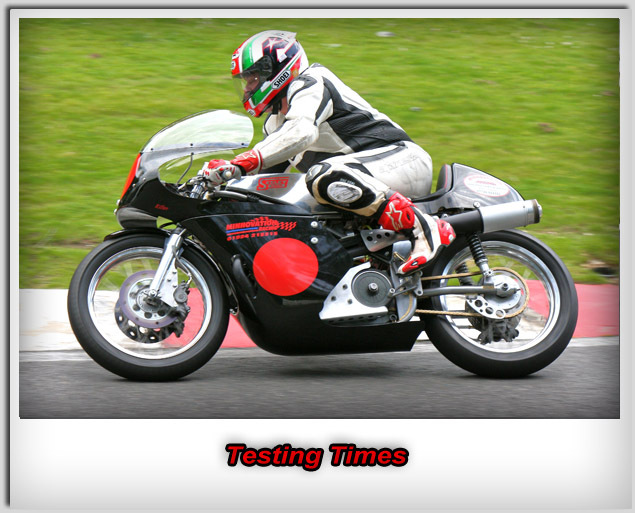 We attended the practice day at Cadwell Park - 24/06/11 - fortunately in glorious sunshine - the day went fantastically well and with a brand new bike completed more than 40 laps - eventually circulating at race winning speed. Minor set-up issues re: suspension and carburation were quickly dealt with and we look forward to Brands Hatch and the machines debut. 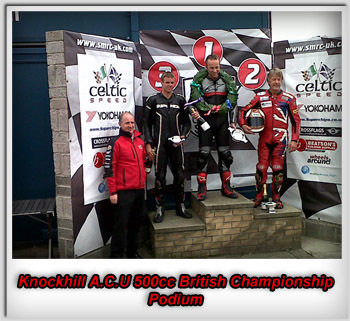 The only bright spot of our whole weekend was our sponsored rider Gary Thwaites winning comfortably the A.C.U 500cc British Championship round - well done mate. Our season got off to a very late start for us this year due to a high volume of work - and we are in no way complaining about this! 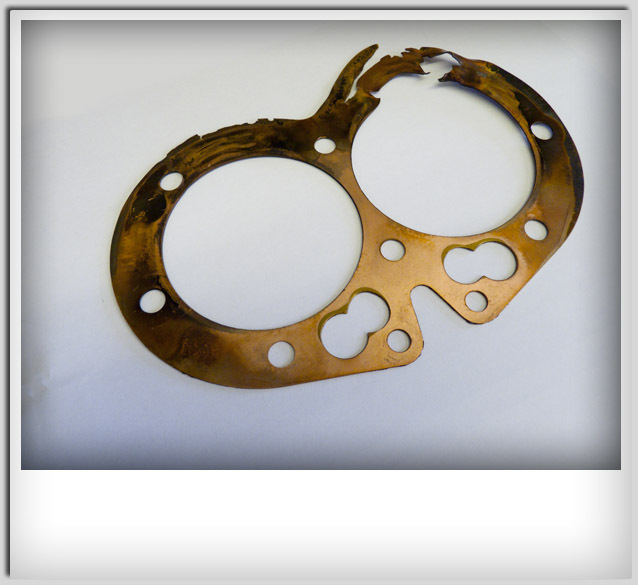 We have been very busy this last winter keeping customers supplied with racing machinery & components and also with development of our G50 and Commando works bikes. We have spent many hours on the Dyno - sincere thanks to Russ @ www.TorqueTune.co.uk , and Don @ www.hbmotorcycles.co.uk for their patience and expertise. We have made solid improvements in mid range and top end power on both engines. We would like to thank Nigel @ N.R.P Exhausts for the fantastic new G50 exhaust system. Our team attended Mallory Park & Pembrey Circuit C.R.M.C events – assisting and supporting our customers - we then took our works G50 along to C.R.M.C Donington Park as support bike for our good friends ‘Team Shelton/Thwaites’. Unfortunately Gary suffered mechanical failure while leading the 500cc UK British Championship race at Pembrey – forcing Richard to rebuild his engine against the clock for Doninginton Park the following weekend - we were so impressed with the effort put in - that we decided that we would try and help if we could - but as it turns out Richard and Gary needed no help from us - they won a magnificent British Championship race from Alan Oversby – who’s determination to overcome a painful ‘T.Z’ shoulder injury impressed us all immensely – get well soon Alan. We are pleased to announce that as a result of our working together at Donington - a Minnovation/Shelton partnership has been formed to assist in keeping Gary up at the sharp end for the rest of the season. We next attended C.R.M.C Ty Croes Anglesey - racing for the first time this year - primarily to debut our works 750cc MKII Seeley Norton, and again taking along our G50 as backup for Gary - who practiced the bike on the Friday but opted to run Richard's bike for the weekend due to personal set up issues with our bike - these we have now rectified in order for Gary to test at C.R.M.C Knockhill, early June. 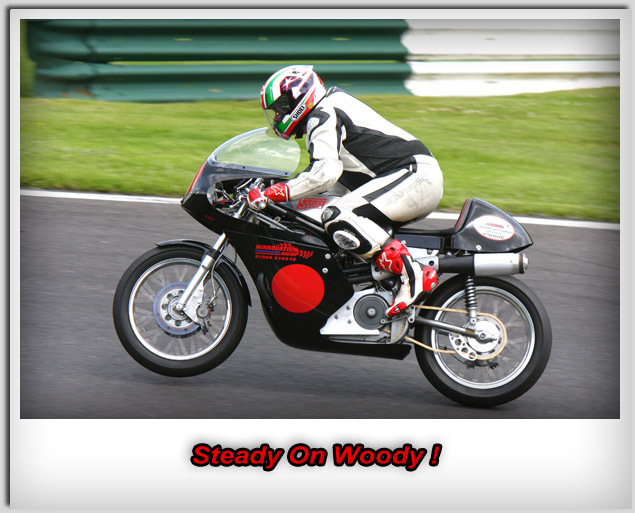 At Anglesey we concentrated on our 750 for the entire weekend, and despite the deteriorating conditions - and it being his first ride on a motorcycle since the end of last season - we are extremely pleased to report that our works rider John Woods (Woody) very quickly adapted to the bike (a complete contrast to his own TZ!) - gaining podium placings and speed throughout the weekend. We look forward to Knockhill, and hopefully the debut of our 1007cc MKII Seeley Norton – and maybe continuing the successful start to our season.